The 3M Peltor TK56 is a Remote Finger Push to Talk (PTT) that allows for convenient activation of your microphone for those who do not desire to use the voice-activated microphone. This Remote Finger Push-To-Talk (PTT) is constructed with a 36-Inch Long Wire that assists with clear, communication in the 2-Way Radio Headsets of the 3M Peltor PowerCom Series, combining Hearing Protection and 2-Way Communications. Compatible with select models of the series yet offers the ability to switch between Voice Reception and Transmit Modes. This Remote Push-to-Talk (PTT) is popular for those needing to activate their microphone and need to limit arm/hand movement. 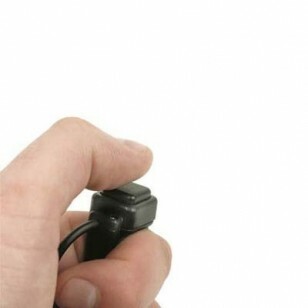 The PTT is worn on the finger and is easily activated with the thumb. Popular with crane operators, cement pump operators, and utility workers.